En route to Angus for a short break recently we stopped off at The Horn near Dundee. It's a 1960s roadside milkbar that claims to do the best bacon rolls in Scotland. We decided to put them to the test. We were well impressed. They were jam packed full of bacon and delicious. Streaky bacon isn't normally my thing but these were good. Meaty and not at all fatty. The Wee White Dug approved of his little taste too. I also loved the retro look of the cafe. 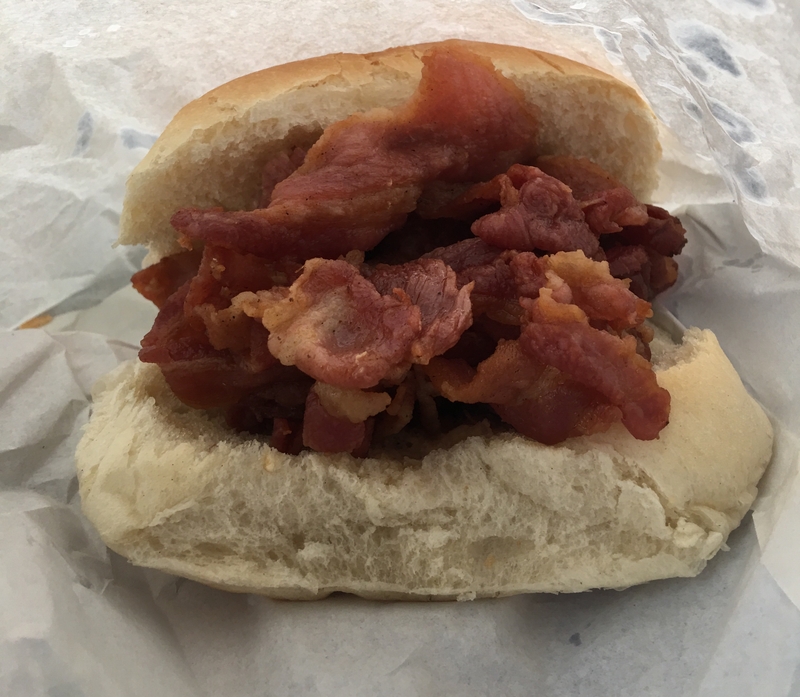 Where are your favourite spots to grab a good old fashioned bacon/breakfast roll? In Pitscottie, there's a charming wee tea room with lovely staff called the White Chimneys. Good bacon butties here. also @Samantha_Grant I can't get your blog to load Probably something wrong on my end! My best buttie was at the Boat Shed down at the loch at Pitlochry (go down the road pas the Green Park Hotel). Absolutely fab.... could go one right now actually! JJs cafe near Fort William - although i will have too change this a bit as they have also the best square sausage rolls in Scotland from a local butcher - delicious! @Samantha_Grant Well I highly recommend that from JJs cafe - or double up with a piece of Stornoway Black pudding on it - triple it with a fried egg and that is perfect! You will find JJs cafe next to Farm Foods just outside Fort William - at the Mallaig roundabout at the BP garage, head towards Mallaig and Farm foods and JJs Cafe is just across the river! Let me know if you try it! @Samantha_Grant excellent - so you will know where JJS cafe is just across the river at the roundabout. Tell Jane and John that you were recommended to try it - it's the local square sausage that is the king. A butcher from Banavie that makes it i think - and a huge portion you get! The Redburn cafe on the A887 out from Invermoriston do brilliant bacon rolls. 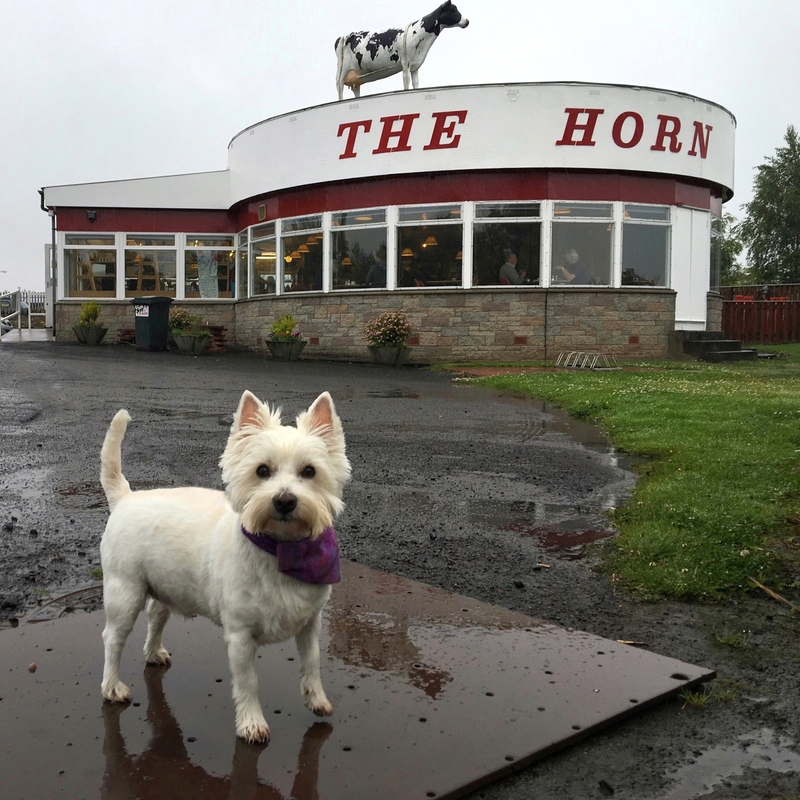 A great wee stop if you're heading out to Skye from Inverness and fancy somewhere to stop for a bite to eat. If you're walking the Fife Coastal Path and find yourself in Leven, there is a wee cafe next to the KwikFit garage on the seafront called The Beach Snack Bar - they do bacon rolls with Puddledub Bacon which is local, and you can also get square sausage if you're extra hungry. My tip is the Ballinluig Motor Grill on the A9 about 20 miles north of Perth. It's a good mid-way stop when driving south to north. Nothing better than a bacon roll and a big mug of tea to keep you going! Travelling north, you can get across to it via the junction for the A827. Has to be Castle Stalker View cafe !